The Visian ICL is an artificial lens that is implanted into your eye to correct high degrees of nearsightedness. 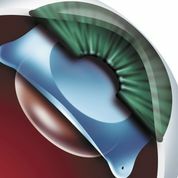 It is a type of implant known as a phakic intraocular lens (IOL). Although it is often call the Implantable Contact Lens, ICL officially stands for Implantable Collamer Lens. Good candidates for the ICL procedure are between the ages of 21 and 45, and are highly nearsighted. Often, phakic intralocular lenses are suggested when LASIK or PRK are not appropriate options because of severe myopia, a thin cornea, or if you have keratoconus. The goal of ICL implantation is too improve your uncorrected visual acuity, and also to balance vision in the two eyes in cases of keratoconus where the eyes are very differnent in correction. The implantation procedure for the Visian ICL involves a procedure similar to that of cataract surgery. The main difference is that, unlike cataract surgery, the ICL procedure does not require the removal of the eye’s natural crystalline lens. Unlike LASIK or PRK in which the cornea is reshaped by a laser to improve vision, the ICL procedure does not involve the cornea; rather, it involves placement of a permanent lens within the eye. About one to two weeks prior to the insertion of the ICL, a YAG laser iridotomy will be performed by Dr. Hersh. During this procedure, a YAG laser is used to make one or two small openings near the edge of your iris, which is the colored part of the eye. These openings serve as outlets that will allow the fluid in your eye to circulate around the lens. The actual ICL procedure will take about 30-60 minutes. ICL implantations are done under topical anesthesia with eye drops to minimize discomfort. Often, a mild sedative is given to make you more relaxed. Once you are comfortable, the procedure is started by creating two small openings at the edge of your cornea that will be used to position the lens. 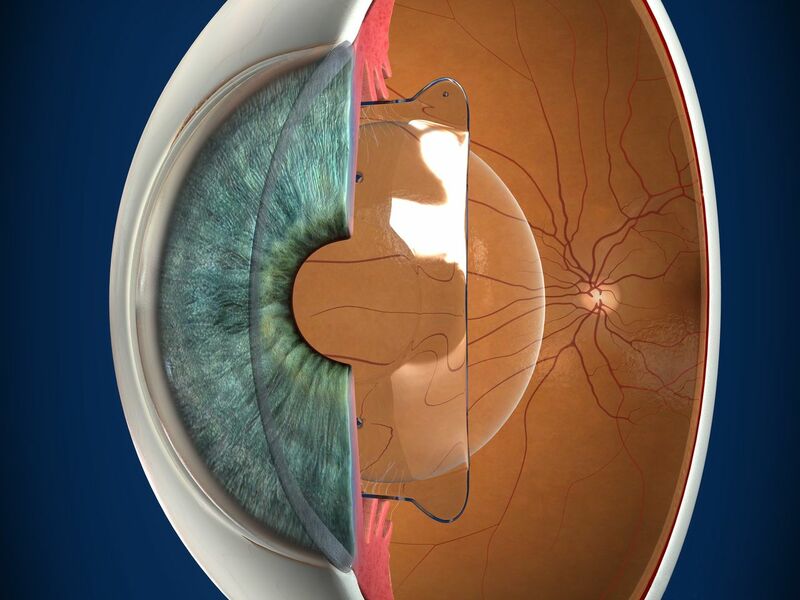 Next, a gel-like substance is placed inside your eye to protect the natural lens during ICL placement. After placement of the gel, a small opening will be made, through which the lens will be inserted. Before the Visian ICL procedure, the proper power and size of you implant was selected based on your examination measurements. The proper ICL is then inserted into your eye using a small cartridge which is placed through the incision. As the lens is inserted, it will gently unfold in your eye. Once it has fully unfolded, the four corners of the lens will be placed behind your iris. This makes the lens invisible to both you and others. Because the incision made during surgery is so small, sutures are typically not needed following ICL surgery, but one or two small sutures may be placed. After your procedure, eye drops will be administered to help prevent infection and inflammation. You will continue to use these drops for a week or two after your procedure. You should not drive immediately after ICL surgery, so it is important that you arrange for transportation home. Vision starts to return the day after the procedure..We will see you for an examination the day after your surgery. It is important to follow your postoperative instructions, especially regarding the needed use of antibiotics and anti-inflammatory medications during the week following the procedure. You should contact us if you experience severe eye pain or a sudden decrease in vision. In some cases, topography-guided PRK or Intacs can be perfomred before or after ICL surgery to achieve the best visual outcome. We can discuss if you are a candidate for a combined procedure to optimize result.